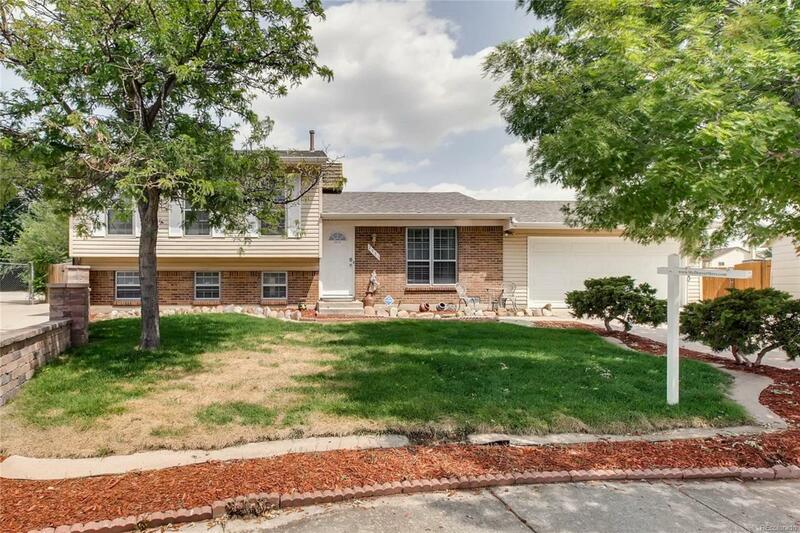 This charming tri-level is conveniently located less than 10 min from Peterson AFB and only 15 min from Ft Carson and is an incredible first time homebuyer opportunity! The main floor welcomes you into the formal living room and hosts the kitchen and dining area. The upper level is home to three BR's & full bath with private access from the Master BR. The lower level hosts a family room, 4th bedroom, 3/4 bath, and laundry. All appliances & washer/dryer are included to make this a perfect first home! A huge Sunroom / shop / man-cave / playroom is just off the patio (this space is not heated, sqft is not included in the sqft of home). The 2-car over-sized garage is a whopping 520 sqft with built-in cabinets, perfect for tools & toys! The huge 10,000+ sqft lot also has a fenced back yard with garden area & storage shed for your yard tools. New roof and gutters 2017. Remodeled Kitchen 2017. New Carpet 2016. Seller is offering a $2,500 A/C or window upgrade allowance.